As some of you might already have noticed, we are working on a better integration of Xfce in openSUSE. The aim of the Xfce Project is to establish Xfce as well-accepted desktop environment besides GNOME and KDE. We have already started building Xfce LiveCDs with KIWI but still fail in getting yast-live to work. Miguel Cruz has provided his great CrashBit theme and designed a few new icons to improve Xfce support. I have also finished a SLiM Display Manager theme and work on some packages for that. There is still a lot of work to be done and things to coordinate. We are going to set up a oS Xfce Mailing List soon, that all interested people should join. In the near future I am continuing to blog about the current development process, so stay tuned. I have also added an upgraded screenshot showing how it would look like using the Gilouche Window decoration. « Welcome to the Official openSUSE Forums ! I personally find the current theme very professional. Do you mean the GNOME Windeco? We have already ported the Oxygen Windeko to Xfce, which is in my POV a poor alternative to the current theme. These are great news! Xfce is definitely worth the effort. Be sure to have a look at zenwalk.org – it’s by far the distribution with the best Xfce integration I’m aware of! nice! I’m not an xfce user but I think this is fantastic. Finally xfce users will be treated as first-class citizens in opensuse (though xfce is yet to be made visible right away in the installer, 11.1 should be the one to do this). I expect XFCE to appear in the main list for the 11.1 installer as KDE 3 will then most probably be removed from the repos by then. 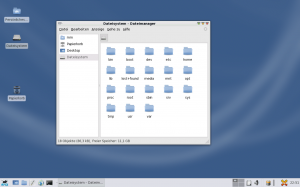 KDE 4.1 (esp. with openSUSE patches) will be a viable replacement for KDE 3, and by this time most openSUSE tools for KDE 3 will be fully ported. just as there’s ‘desktop effects’ option in gnome of openSUSE 10.3 even in the live+install dvd, give xfce too the ‘desktop effects’ option in the live+install cd/dvd. I agreee with jrdls. Make xfce visible in the installer in 11.1 coz there will only be one kde option and that’s kde 4. Do make xfce a full-fledged desktop environment like gnome and kde in openSUSE. In developing countries there are lot of people who like to use GNU/linux and enjoy the desktops effects without upgrading their hardware. And xfce rightfully fullfils their needs coz the base system of openSUSE with xfce is much lighter on resources. Marcus Moeller and team, you rock!!! I will be one of the first persons to use the new look xfce desktop environment when it comes out in openSUSE 11.1. keep up the good work guys!!! 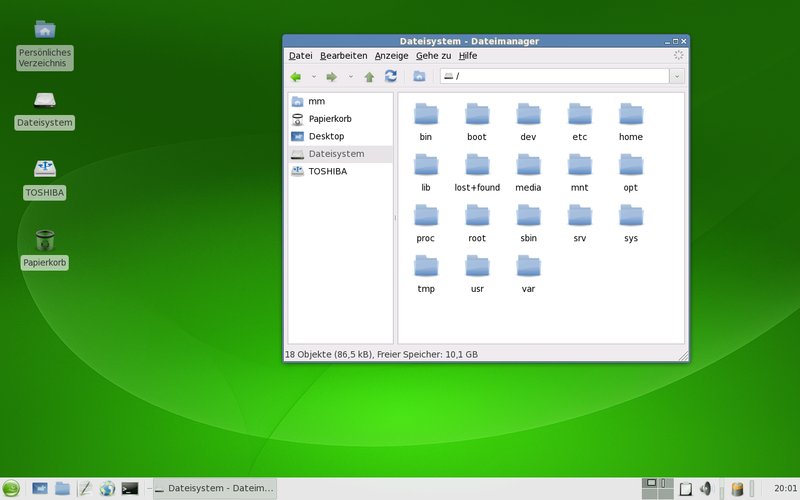 I’ve just given Xfce a try for the first time – using openSUSE 11.0 RC1. It’s great! I’m really impressed. In Xfce, unlike in other desktop environments like GNOME, KDE 3, KDE4 or other operating systems like Windows XP or Windows Vista, when we right-click anywhere on the xfce desktop, it shows the applications menu. This feature IMHO gives Xfce an “unprofessional” look. Please remove that feature. Instead, when you right-click xfce, it should only show to “open terminal” , “add new folder” , “add new file” like it shows when you right-click in other desktop environments.